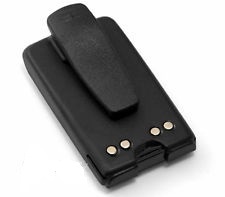 PMNN4071R : 7.5 volt 1500mAh rechargeable Ni-MH battery for Motorola BPR40 & Mag One A8 radios. Includes Spring-loaded belt clip. Re-charges in stock drop-in chargers. Replaces PMNN4071, PMNN4071R, PMNN4071A, PMNN4071AR, PMNN4075, etc.